This is my first collaboration with Fibre Artist Chrissie Day, using her beautiful 1 Farm – 1 Flock – 1 Clip yarn. 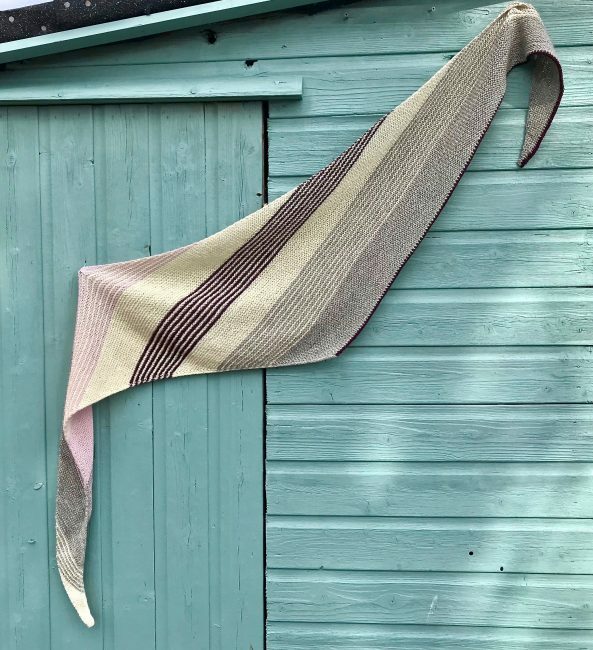 The colours are inspired by Chrissie’s home high and remote in the Upper Dale where Winters are hard, Spring brings rejoicing and Summers are sublime with the sound of the returning birds chattering and flying and peewits swooping. Colours from wild meadow flowers, heathers and the lichen on the old gates and fences and the sky changing through multiple colours in one hour. 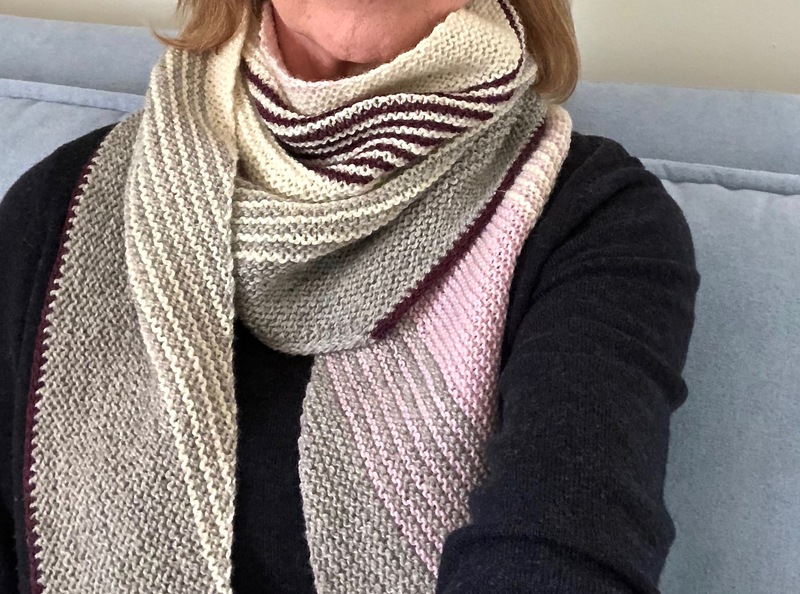 Showing off two of my favourite design elements, stripes and I-cords, this shawl is worked on the bias. You start with only three stitches at one corner, work increases on one side every row and decreases on the other side every other row, thus working a long flat triangle which is extremely versatile and can be worn in many ways. The I-cord edging on two sides hides all colour changes and will give the shawl a clean and well finished look. This is the perfect accessory when the Spring sun fails to warm or the Summer sun is losing her strength. 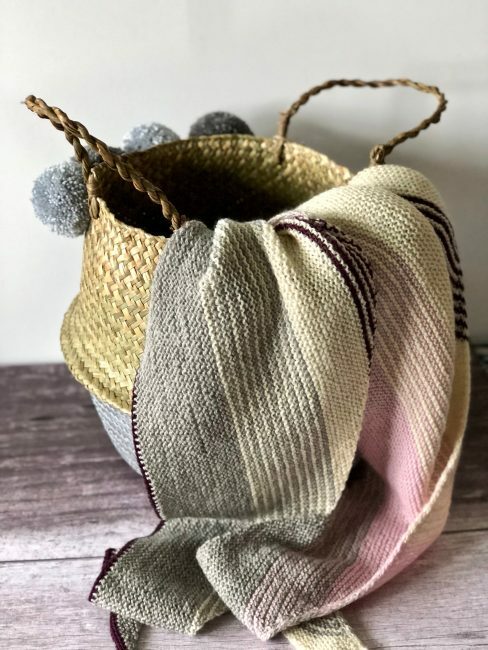 The really good news is that for a limited time only kits are available via Chrissie’s website HERE , but when they are gone…they are gone. You can of course also purchase the shawl single pattern from all my usual places (find the links on the right hand side of this page) and this yarn can be substituted with any yarn of your liking. Singles, sock, lace weight yarns or even thicker yarns if you prefer. But please be aware that if using a thicker substitute, you may need more yarn. 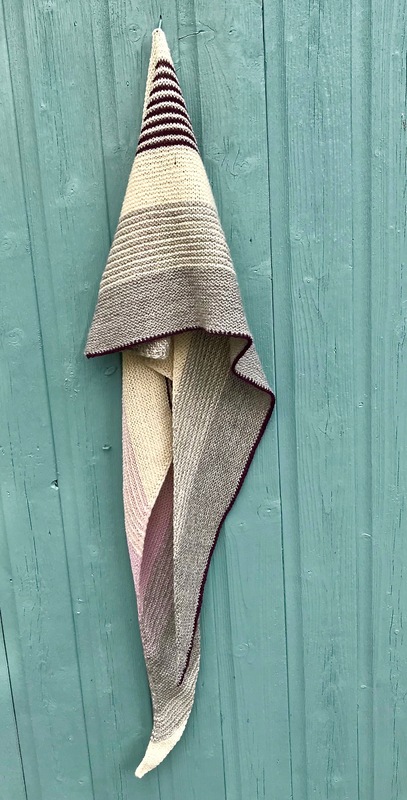 Finished Measurements of this shawl are: Width 208cm at top edge – Depth 36cm at widest point, making this a very versatile shape and size with endless possibilities of how to wear it. I hope you like it as much as I enjoyed designing and making it.